My Man Godfrey, a theater adaptation of the 1936 screenplay written by Eric Hatch, takes us to an era of ritz that is not-so-passé. Our scene is set in the bustle of depression era New York. Godfrey, portrayed by Eric Smiley, is plucked out of the city dump by the histrionic young socialite Irene Bullock (Sarah Karnes). 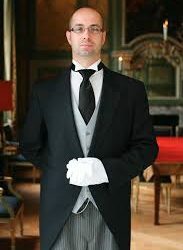 On a whim, he’s hired on as a Butler for the Bullocks, who are notorious for driving away even the most seasoned butlers. Godfrey seems to be made of sterner stuff, but as he wins the affections of each quirky family member, we find that our butler may not be entirely who he claims to be. Directed by Doug Staley, this show was beautifully set and costumed, and the theater was full of eager patrons. This madcap rom-com whipped the audience up into fits of laughter throughout the play. The performances of Alysha Curry as Molly the maid, Sarah Karnes as Irene Bullock, and Teri Lazzara as Angelica Bullock all displayed quick comedic timing and attention to detail that kept the audience laughing all night. Between the costumes and the drinks, the jokes and the jewelry, this production was certainly a party. Despite these merits, the show, by nature of the script, glossed over some dark realities that should not go unnoticed. In my opinion, this show makes light of the destructive lives of the societal elite, while failing to examine the follies of this system from any angle grounded in reality. What is more, the show largely draws its humor from the all-too-well-known image of the irrational and erratic woman. Every female character in the show was either spoiled or inept, or some unfortunate combination of the two. As a reference of historical art media, though, this show provided valuable insight into what once was, and what might still be.